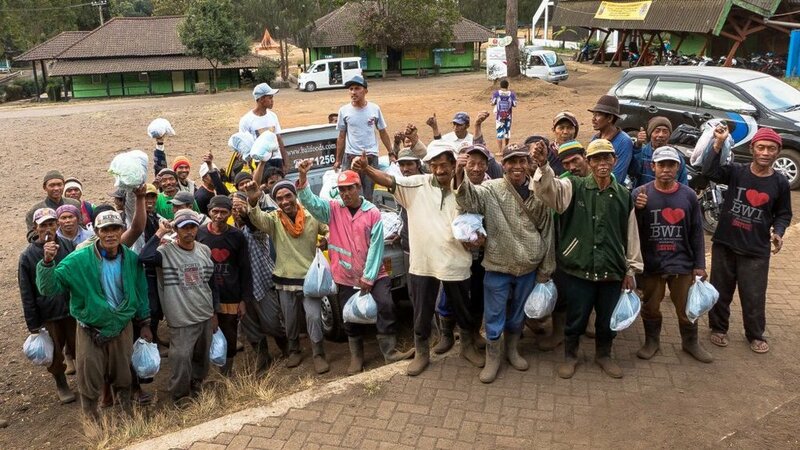 Ijen Assistance is not a registered charity, but it is dedicated to ensuring that 100% of any monies it receives will be used to benefit the families of the miners in this region. With your generous help, we channel any contribution directly to relief work in the region that has successfully sent over 100 porter’s children to school, brought new technology to the mine to make the porters job a little more humane, brought in many shipments of clothing and restored and renovated many schools. 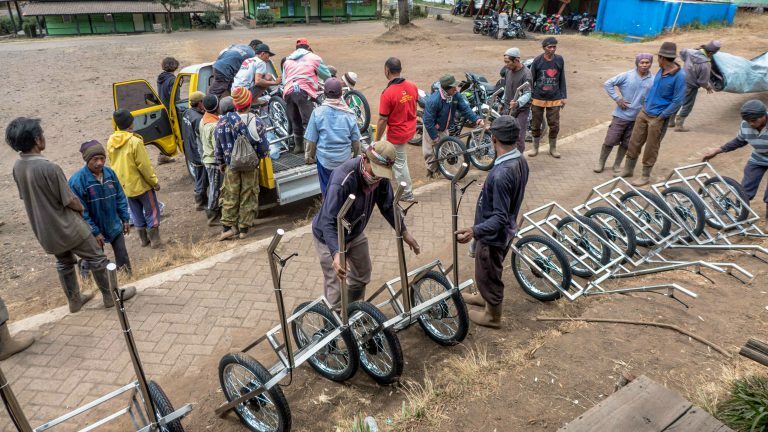 The relief work is led by Heinz Von Holzen, a veteran mountaineer, chef and photographer who has been providing aid in the area for many years and who personally travels to Ijen frequently to distribute the contributions. Heinz's work in the region is well documented and written about, with Heinz producing videos himself that explain his work and show you the current situation of the miners. A few years ago Heinz documented the process of bringing new technology to the mountain, with the help of the Swiss University of Applied Science. In the video below, Heinz takes you with him as he brings contributions to the local schools and visits Kawah Ijen to give money and clothing to the miners. You can find more information about the aid Heinz provides on his website.